Even before the sparkling diamond ring is in your pocket, you will probably start wondering how to make your proposal absolutely stunning. You want it to be a romantic surprise, a moment you and your loved one will remember for years to come. Not sure how to do so? 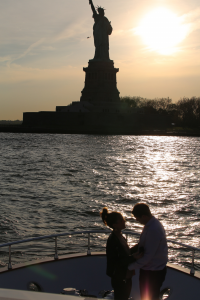 One incredible idea is to get down on one knee during a private yacht charter in New York City. Imagine looking out from the Hudson River to watch the sun set and take in the sight of the beautiful lights that illuminate NYC start to glow. The only view that your soon-to-be fiancé will find more captivating than the city lights is that of the diamond ring you pull out of your pocket. We can even capture your loved one’s reaction on camera for the two of you to remember forever. 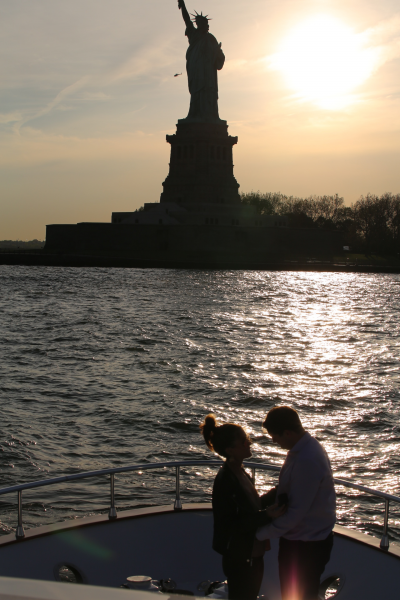 Learn more about our elegant yachts online, then contact us by phone at 646-780-9693 to begin the planning process. We look forward to assisting you in the arrangement of this magical evening!